River City Productions have over 30 years of experience in the screen printing industry. 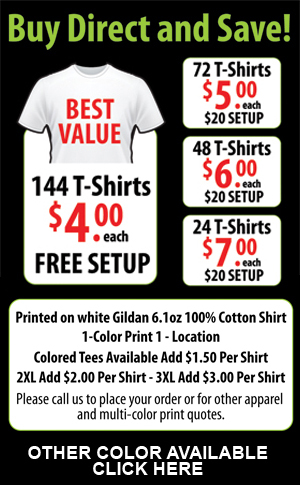 Our purpose is to provide the highest quality screen printing services and products to the Mid-South and beyond. We print tee shirts, shorts, jackets, bags -- almost any wearable apparel! Just give us a call or send us an e-mail. We would love to help you with your next project. We take pride in superior quality screen printing and personal service, and can assist with any of your graphic design needs. Call today or browse our online catalog!